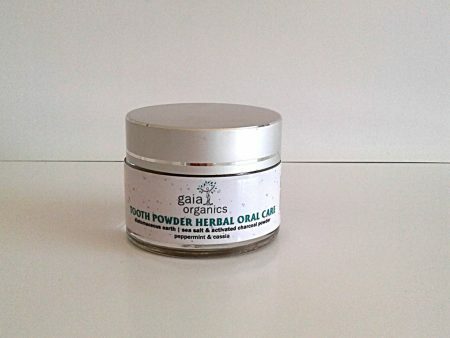 This unique and highly effective tooth powder formula is a brilliant NON FLUORIDE tooth powder that effectively cleans the teeth in a gentle way without the harmful ingredients that many off the shelf toothpastes include in their formulations. 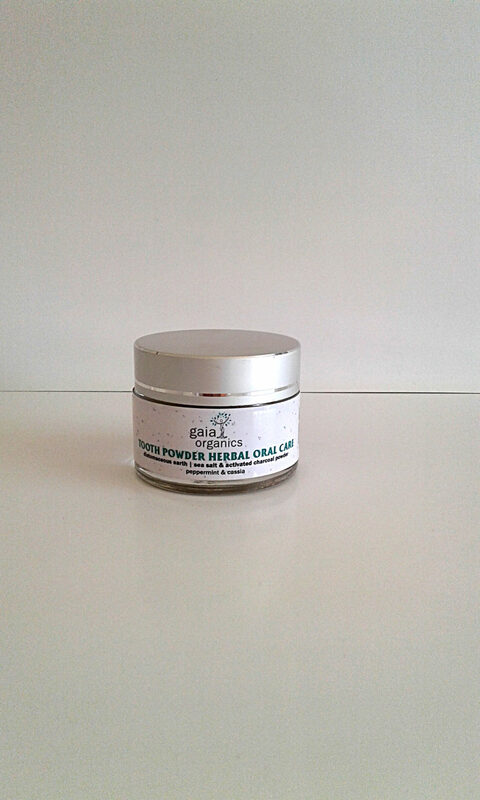 This very mild, enamel polishing and whitening tooth powder was one of the first products that was formulated at Gaia and has over the years and to this day received many positive reviews and continues to be a front-runner in the fight against tooth decay and the maintenance of dental hygiene. Dip the bristled tip of a dry, soft toothbrush into the powder. Brush lightly and try avoid inhaling and swallowing the tooth powder. Rinse the mouth of oral debris dislodged by the tooth powder. Diatomite silica micro-crystals, Magnesium Peroxide, Bicarbonate of Soda, Pure Sea Salt, certified Vegetable Glycerine, Comfrey Allantoin, Green Tea & Centella (extracts), Colloidal Silver, Copper, Zinc & Manganese as well as essential oils of Spearmint, Peppermint, Gaultheria, Clove, Lemon, Cinnamon, Cassia, Tea Tree & Thyme.